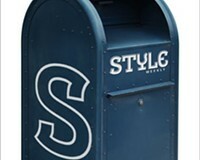 Jay Ipson, Museum Board Set for Showdown | News and Features | Style Weekly - Richmond, VA local news, arts, and events. 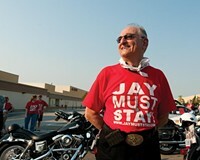 Jay Ipson joins supporters at Willow Lawn for a motorcycle ride in late June. While the board of the Virginia Holocaust Museum prepares to decide the fate of ousted executive director Jay Ipson, rumors are flying about what that decision could mean for the museum's finances. A Holocaust survivor and museum co-founder, Ipson stepped down as director June 30 by order of the board. Public outrage erupted after it was disclosed that Ipson also was asked to vacate his office at the museum and remove decades' worth of memorabilia. Some former museum staffers and board members say the reason for Ipson's removal was friction between him and Marcus M. Weinstein, the museum's most generous donor and board chairman. The board is scheduled to meet at the museum July 26 at 5:30 p.m. to vote on whether Ipson should be allowed to keep his office and continue his unpaid involvement with the museum. The unspoken question: If the board allows Ipson to stay, will Weinstein withdraw his financial support? Weinstein isn't saying. He told Style when reached Monday, "I have really no comment about the Holocaust Museum." "People that don't know the facts figure that if Mr. Weinstein leaves and takes his money, the museum will close up," Ipson said Monday. While Weinstein's donations — which total several million dollars — have subsidized the museum staff's salaries for years, Ipson says, the museum can't continue to rely so heavily on a single donor. The staff is larger than it should be, Ipson says, but losing Weinstein's funding doesn't mean people will be laid off. Ipson says he vowed long ago that the museum never would charge admission, because "a dollar should not stop somebody from getting an education." Ipson says he doesn't know how the board will vote, though he's spoken with a few members. Sometimes people will tell you one thing to your face, he says, "and when they turn around they do something else. It's never a sure, given thing." 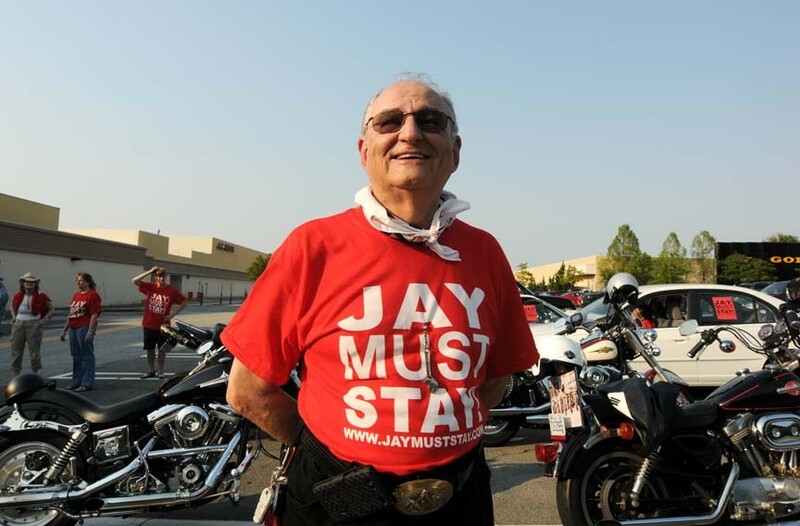 In addition to members of a Facebook group, Jay Must Stay, others are taking up Ipson's cause. The Richmond International House of Prayer and Encounter (RIHOPE) in Shockoe Bottom announced this week that it's working to complete Ipson's campaign to collect 6 million pennies as a visual representation of the Holocaust's Jewish victims. Since 1999, according to the museum's website, 3.3 million pennies have been raised. RIHOPE and local activist Rick Tatnall hope to present the remaining 2.7 million pennies to Ipson and the museum by Yom Kippur, the Jewish Day of Atonement, on Sept. 26. They'll place collection jars in some area restaurants ("jars in bars," Tatnall calls it) and are asking churches and businesses to contribute. RIHOPE Director Sherrie Moore was seized by a desire to show support for the museum by re-energizing the campaign, she says, "and just letting them know, we will never forget. Because it just seemed like it was fading into the background." Personality conflicts and naming rights: the real story behind Jay Ipson’s forced retirement as director of the Holocaust Museum.